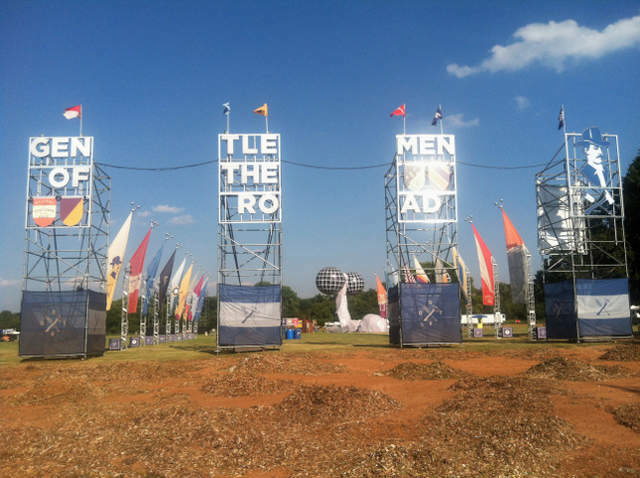 On September 6th and 7th, Guthrie, Oklahoma played host to twelve main stage bands, including Edward Sharpe and the Magnetic Zeros, Alabama Shakes and Mumford & Sons, plus over twenty side stage acts as a part of the 2013 Gentlemen of the Road Stopover Tour. The original capital of the Sooner state happened to be one of five places in the world that was chosen to partake in the event. The Stopover proved to be a cultural and musical sensation, as over 40,000 people listened, sang and, yes, even danced their hearts out. The Stopover was not only a cultural success, but also with the influx of people due to the concerts, Guthrie experienced a financial boom, which brought in an estimated hundreds of thousands of dollars to local hotels, restaurants and other businesses. Within two days, the town of 10,191 people more than quadrupled, making it an overnight metropolis. I am certain that the people of the city most notable for its brief stint as Oklahoma’s capital would love to welcome the Gentlemen of the Road back again next year. Prev PostHow should we deal with movie ratings?